Has your metal roof seen better days? Or do you require an entirely new roof built from scratch? Then you need ProRoofing as we excel in fixing and installing the best metal roofs Bournemouth has seen. Whatever the size or shape of your property, our solutions will be sure to please and are easily the most affordable around. A roof that is leaking, rusted, or falling apart can put a downer on things, but it does not need to be the end of the world. One simple call to our company is all it takes to receive the finest service for metal roofs Bournemouth has to offer. ProRoofing can repair and refurbish properties of all descriptions for both domestic and commercial clients. Upon contacting our team, we will pop round to your property and carry out a FREE survey of your roof. Should we deem it economical to repair your roof, our expert surveyors will supply you with a complete report of our findings. This report will include our professional recommendations on the best way to restore your Bournemouth metal roofs to full working order. Once you are happy with the fee we have quoted, our team will set about fixing your roof. When tackling metal roofs in Bournemouth, we make certain that all work is carried out to industry standard. Our repairs are more than cosmetic and are designed to restore the functionality of your roof and ensure a result that will last for many years to come. From new-builds to properties with roofs that are completely worn out, ProRoofing has many years’ of experience in supplying the sturdiest metal roofs Bournemouth has experienced. 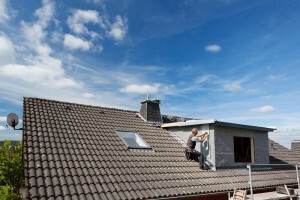 Whether you require part of or the whole roof replacing, we will tailor our services accordingly. We take careful measurements to provide you with a plan for your new roof that is bespoke to the structure of your property. You might be concerned that having your roof done will involve dealing with two separate companies. Fortunately, at ProRoofing, we can supply our customers with scaffolding which will be erected for the duration of your Bournemouth metal roofs project. The benefit of this is that your roofing work won’t be held up while you wait for your scaffolding to be erected. Plus, dealing with a ProRoofing means only one quote and a single fee to worry about. Why choose our metal roofs Bournemouth company? Established a little over 30 years’ ago, ProRoofing represents the standard for high-quality roofing solutions. As a company, we pride ourselves on repairing and fitting metal roofs in Bournemouth that meet our customers’ expectations. We recognise the disruption that can be caused by extensive roofing works, and so our team will work to have the job finished in a timely fashion. At ProRoofing, we are committed to providing the right people for the job. All of our roofers are fully DBS checked and have undergone extensive training to ensure full compliance with the latest health and safety regulations. We use only skilled tradesmen so you can be certain of the best Bournemouth metal roofs imaginable. Plus, with a minimum 10 year guarantee on all roofing work carried out, you will have peace of mind when dealing with ProRoofing. For the outstanding service for metal roofs Bournemouth has encountered, contact us here at ProRoofing today on 01202 518763.